Transform your deck into an outdoor oasis with EverNew Decking, constructed of materials designed to give the authentic look of real wood without the maintenance. Because of its unique material composition, it never needs sanding or painting, making it the perfect complement to an easy lifestyle – and a choice you’ll appreciate every time you step onto your deck and into the great outdoors. EverNew’s rich shades and multi-chromatic colors lend to it’s natural appearance, which is also enhanced by a woodgrain texture that’s deep, beautiful and as close to real as you can get. EverNew Decking is offered in two levels: LT, made of cellular PVC; and PT, which consists of a wood plastic composite core covered by an inorganic protective surface. Learn more about each below. 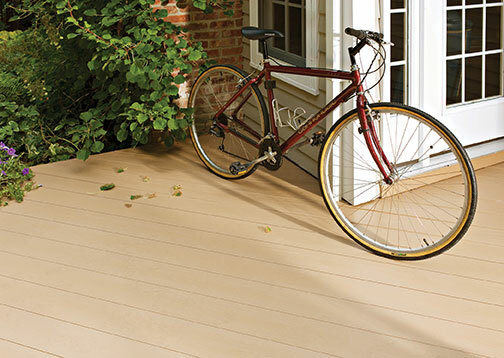 EverNew LT Decking is constructed of a solid-core, cellular PVC that can take whatever life dishes out. This new breed of building material stands up to kids, families, pets, blazing sun, harsh weather – and the spills, thrills, wear and tear that come with them. 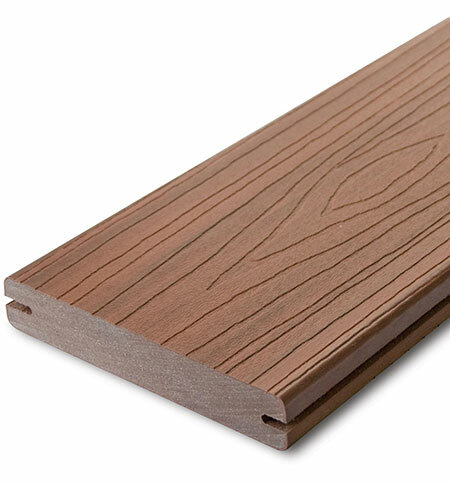 It utilizes Lumenite, a patent-pending innovation that gives EverNew LT Decking unsurpassed performance capabilities. An engineered, fusion-bonded surface technology, Lumenite provides the ultimate in stain, fade and mold resistance. With an infrared heat-reflective surface, EverNew LT is also cooler underfoot. EverNew LT Decking is not affected by wine, tea, coffee, ketchup, barbecue sauces, mustard and the many other drips and spills of outdoor dining. Extensive testing also proves EverNew LT colors will stay true after years of exposure to the sun and elements. 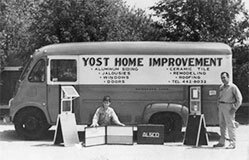 It’s backed by a limited lifetime performance warranty including 25-year stain and fade warranty. 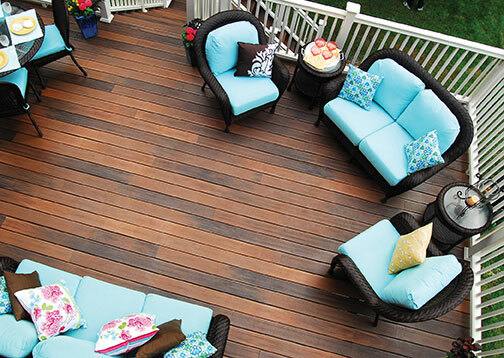 EverNew Decking’s rich shades and multi-chromatic colors provide the look of natural wood. 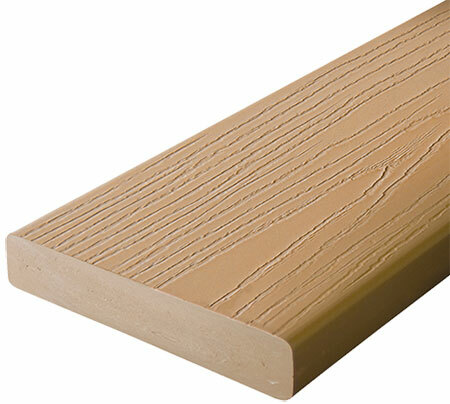 The natural appearance is enhanced by a woodgrain texture that’s deep, beautiful and as close to real as you can get. Choose from a beautiful array of solid and multi-chromatic colors. 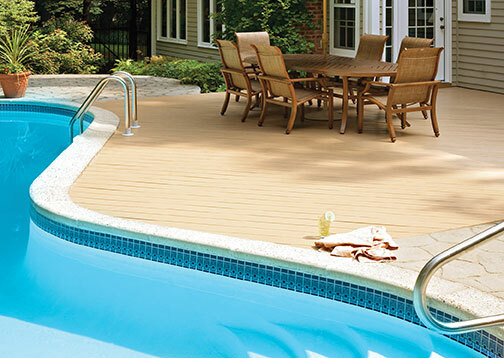 Get the best of both worlds with EverNew PT composite decking. EverNew PT’s solid core is made from a wood plastic composite designed for strength, durability and rigidity. The core is protected by PermaTech, an innovative, inorganic protective surface that provides exceptional stain, fade, scratch and mold resistance. Tested to withstand the unexpected, nothing defies the elements quite like EverNew PT Decking with PermaTech Innovation. 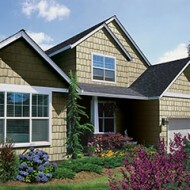 EverNew PT is backed by a 25-year performance warranty including a 25-year stain and fade warranty. 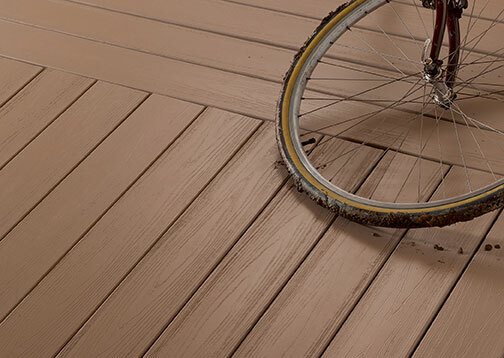 EverNew PT Decking will never be stained by harsh outdoor dining items like wine, tea, coffee, mustard and more. The industry-leading color retention is also unmatched by any other product. The EverNew PT color palette includes rich, tropical tones with exotic hardwood grains that provide the natural look of wood.